beef. This is a prime example of how weather conditions affected the cuisine of the peoples in the Middle Ages. Beef was not as popular in medieval Spain as that of sheep and goats, which were kept alive for shorter periods. Cows were maintained as long as they produced milk for cheese making and gave birth to calves that could be raised to work in fields, in contrast to northern Europe where horses were more economical fare for this purpose. Beef in Iberia, therefore, was tough fare for toothless consumers of the Middle Ages. 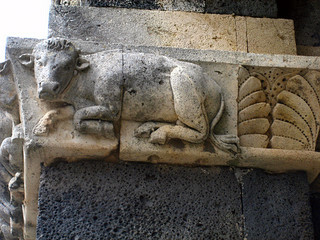 Cows were more difficult to feed because of the long dry summers in central and Southern Iberiaas opposed to greener pastures in northern Europe. Sheep and goats, on the other hand, being transhumance, continue to be herded to northern Spain in summer and back to more temperate climates in the winter along routes providing enough shrubs and grass for the animals’ feed. Medieval authorities favored sheep by regulating sheep path laws, allowing them to travel throughout Spain. Nobles encouraged sheep production as they owned passes where herds were taxed when migrating from region to another. Too, nobles owned ships to take wool to Flanders to be woven into cloth and to bring that back for sale in Iberia. 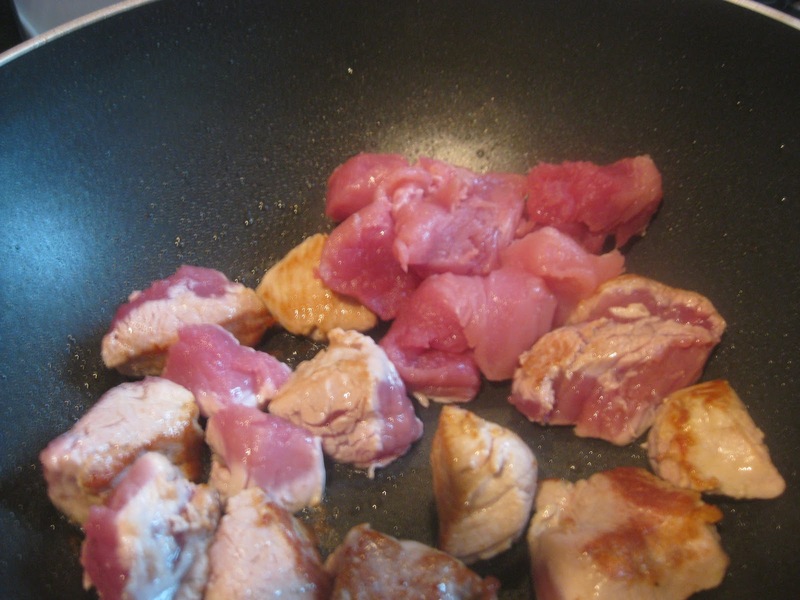 Cut meat into equal pieces as that for stew. Thinly slice the onions. Fry the bacon. When done remove it from the pan. When cool crumble it and set aside. Seal the meat in the bacon fat and set aside. Add olive oil to the pan as needed and sauté the onions until translucent. Add the meat, vinegar and chopped herbs. Cover with 1 qt water and cook slowly for 1 hour. When half done add Duke’s powder. Toast the bread and tear it into pieces putting the equivalent of one slice into each soup bowl. Spoon the broth, meat and onions over the bread. 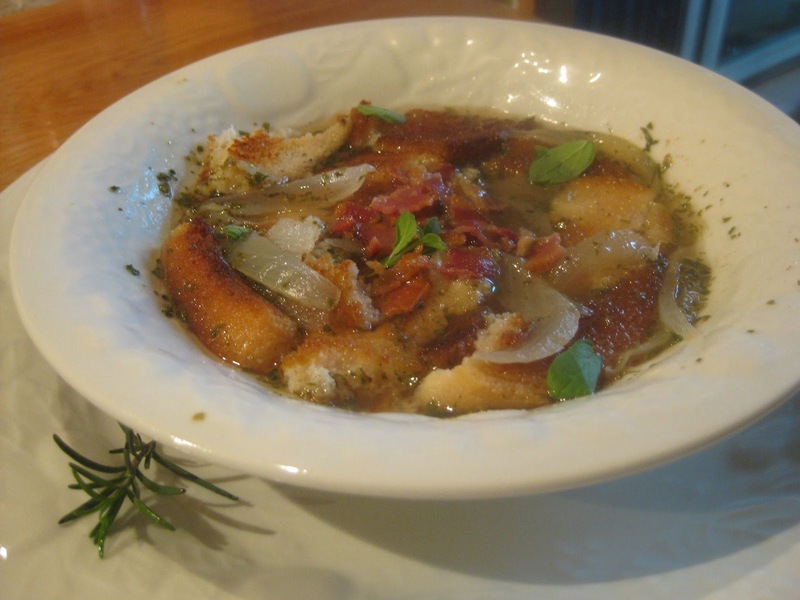 Garnish with crumbled bacon and sprigs of herbs. This indicates the Muslim influence on Catalan cuisine. The recipe does not specify the kind of meat to be used but the beef is very good. See blog titled cardamono published August 16, 2012 for the recipe.